Should I buy a perfect push-up or something like it? People tell me it helps hit your pecs. Probably not. Such tools are rarely worth the money, and you should probably spend any available cash on a gym membership instead. Doing workouts at home is a decent way to start getting muscular, but normal pushups work just fine, and little handles will not improve your pecs enough to justify the cost. Moreover, such equipment is readily thrown into a closet and ignored. Just get a gym membership. 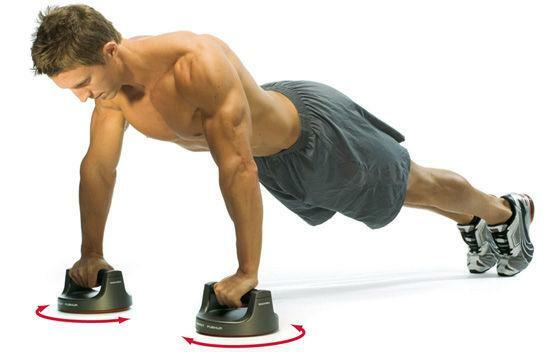 Normal pushup handles aren’t a bad thing, and they don’t pretend to improve your pecs any more than a normal pushup does. They do, however, save some strain on your wrists. I wouldn’t get anything fancier than normal pushup handles though.